Last night as I put Chloe to bed, she asked me to tell her again the story of the day she was born. I tell her all the things I remember about that day. Like how I clutched my pillow as I walked from the parking lot into the hospital and I was nervous that the next time I walked to the car, it would be a sweet baby I'd be holding on to. Or how when we brought her home, her 0-3 month old outfit was much too big and I realized I should have bought Newborn or even Premmie sized clothes. There's so much to know about motherhood that you just learn along the way. I know that if it wasn't for chat boards (thanks Weddingbells/BabyBells!) and my sister Mellany I would have struggled far more through that first year of parenthood. So when it comes to Mother's Day, I like to celebrate those women who helped me become and grow as a mom. Over on the BLACKS blog, I'm sharing a special gift I've made for my sister. Like many moms, she isn't one to take many photos of herself so I'm glad I was there to capture these moments. I can't wait to give it to her. 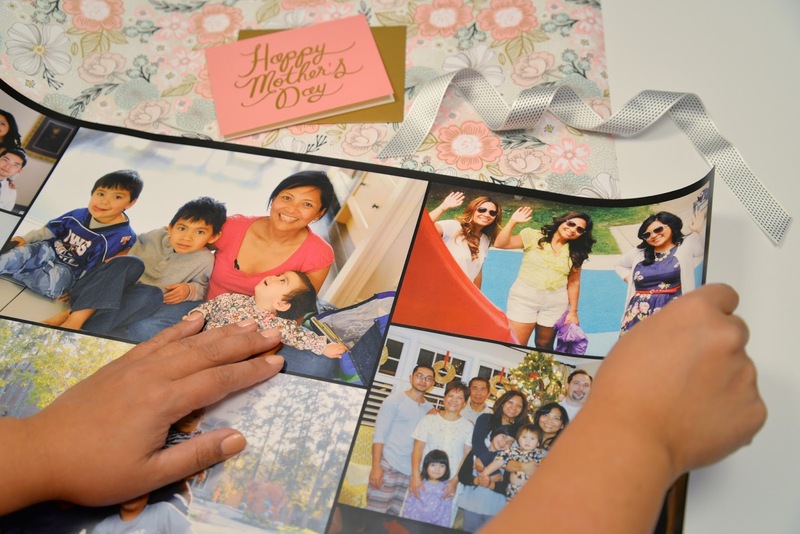 How do you celebrate Mother's Day? Do you give gifts or perhaps go out for a family meal? A nice brunch, some flowers, that's kind of my ideal way to enjoy the day.